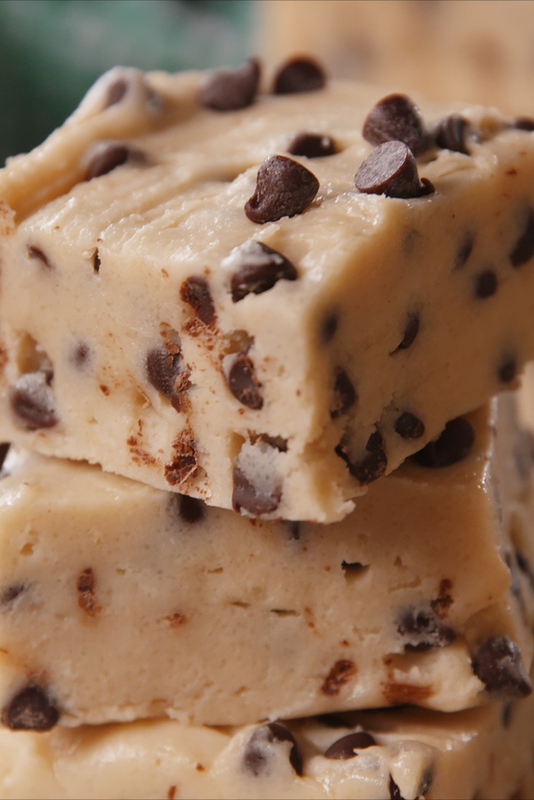 There are cookie people, and then there are cookie dough people. For the longest time I was sure I was a cookie person. That was my life pre-Delish though. A lot of things have changed since then. One of those things is my proclivity for cookie dough. It’s not any old cookie dough I’m a fan of, it’s our cookie dough. We have a couple different recipes, both totally safe to eat and insanely delicious. My favorite comes from my coworker Lindsay, who figured out how to make the most perfect eggless cookie dough ever. It’s got a ton of chocolate and the perfect amount of salt. I first used Lindsay’s recipe to make cookie dough s’mores and from then on I was hooked. I knew we had to repurpose this mixture into as many desserts as possible. One dessert I’m not particularly fond of is fudge. I like making it, and other people seem to love it, but I just haven’t found a flavor I’m crazy about. This seemed like the perfect opportunity for cookie dough to make a guest appearance. 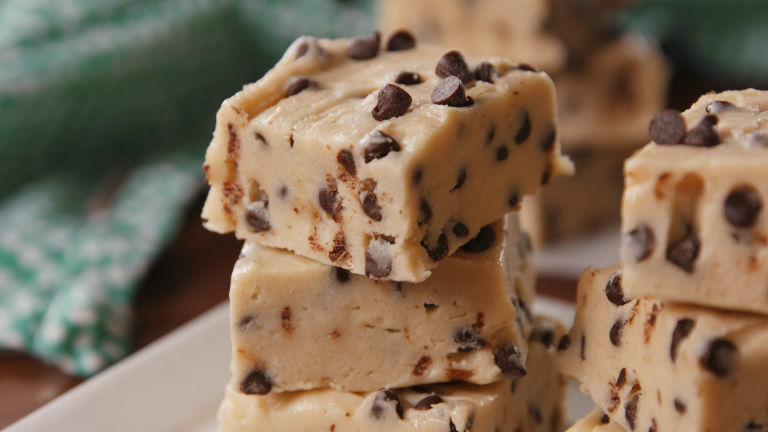 We started with our classic fudge base, white chocolate and sweetened condensed milk, and simply folded in our cookie dough mixture. Couldn’t be easier! 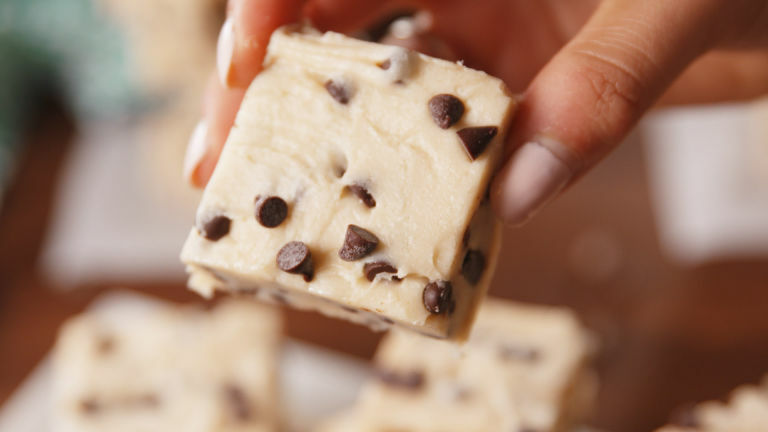 The results were a hit in the test kitchen: living proof that cookie dough makes everything better!